The LINDE has a very extensive array of forklifts and K.B.O offers you a cabin solution for each model. 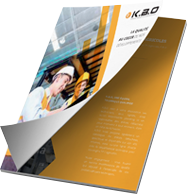 Benefit from the expertise of K.B.O for your Lidne forklifts. Would you like to find out more about our products for Linde forklifts?